My passion for health and fitness for me can all be traced back to my own coming out story, which like most LGBTQ people, will always be a fundamental part of my life. It is also the beginning of my journey of self discovery and made me the man I am today. I was an average teenage boy growing up in a coastal town in Australia. My life revolved around sports, notably rugby league. Every Saturday was spent on a sporting field, and the week was spent at training and in preparation for those Saturdays. It was my everything and my biggest passion. Rarely was a conversation I had on any other topic. My friends would talk about girls, but clearly that wasn’t a topic of interest for me. I just wanted to talk about sport. My coming out changed that dramatically. I no longer felt welcome on my rugby league team because of things my teammates said. These things cemented my own belief that a gay man couldn’t play rugby, or any sport for that matter. I eventually stopped playing all together. This dramatically decreased my friendship circle and increased my free time. With these changes and wanting to continue being active, I eventually began training myself. For me, this included both weight training and running. Running everyday was my chance to get away. I’d run along the beach, listening to the ocean and, in those moments, nothing else mattered. My evening hours were spent researching training and fitness websites on my slow, 56k internet. Fitness had become my ultimate escape from the realities and struggles of coming out and being true to myself. As I moved out of family’s home to Sydney, this passion stayed with me as although I stopped playing competitively I still continued to train, and eventually this assisted me in my return to rugby. Finally, both of my passions came together. 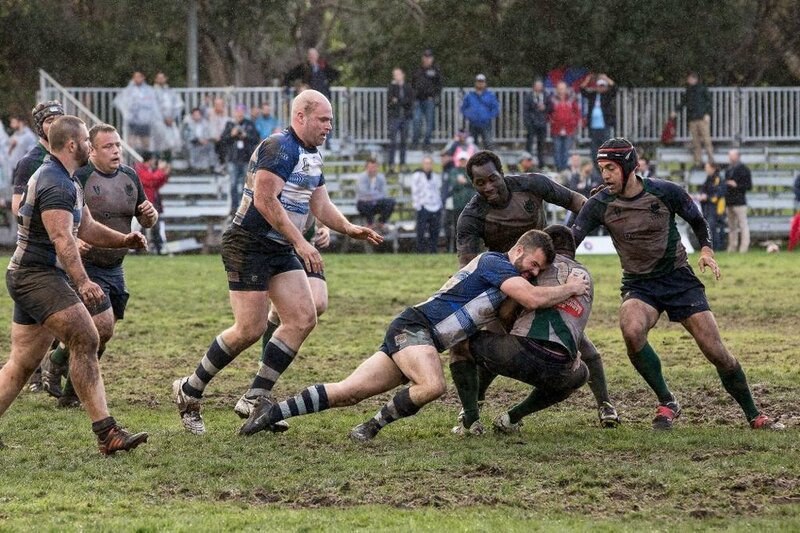 Getting back into rugby grew my confidence in myself as an athlete. I no longer believed that my sexuality meant I had no place on the rugby field. I'd finally found comfort in my own skin. This newfound confidence led me to leave the comforts and familiarity of Sydney and to further my rugby career in Canada, at which point I began training out of the Canadian Winter Sports Institute alongside and with some of the greatest minds in sports. Through hard work and countless hours on the gym floor, I was eventually given the opportunity to defer my skills away from rugby and try out for the Australian bobsleigh team. Given my years of rugby and continued training, I was fortunate enough to make the team. Again, my life became immersed in training. Looking back, I can realize how the years lead up to that exact moment. I would spend the next few years traveling around North America, competing and training with some of the sports best athletes and coaches. The struggles had all been worth it to be able to represent my country. Each day that I trained and competed, not only my own ability grew but my knowledge of the industry I love. Now, living in London, I’m about to embark on the next stage of my life in Fitness and focus my time on training people. I’m going to ensure my passion is passed on to others, and I hope its brings the same joys to them as it did to me. The difference now is I don’t shy away from my sexuality, nor is fitness and training something I do to escape the realities of my life as a gay man. Instead, I do it because it has proven to be not only something I love, but something I can use to inspire others to be active. I want to use the knowledge that I was gifted to encourage others to share my passion for health and fitness. Also, I hope I can inspire young gay teens who are also struggling with their sexuality and their place on the sporting field. Through my own experiences I want to show them that they can continue with their passions and actually excel on and off the pitch.